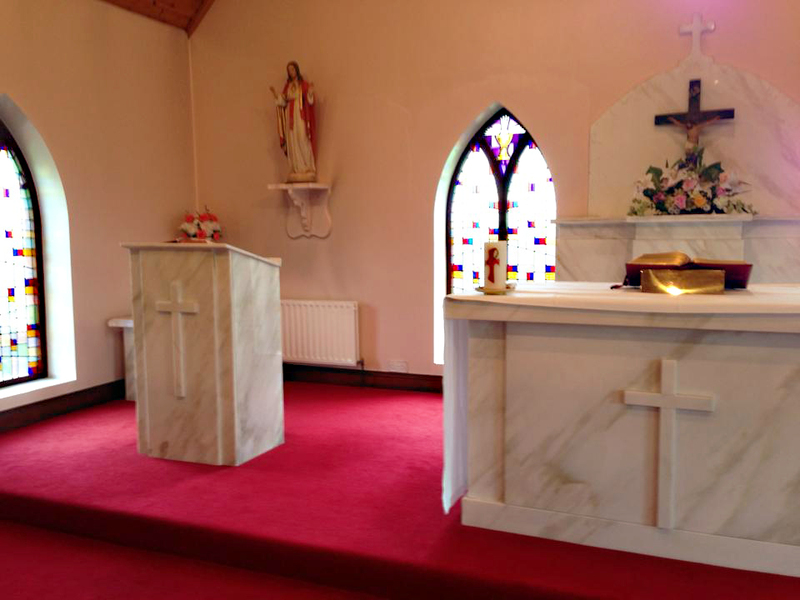 A buiding (formally a dwelling house) at Drumnavaddy was converted into a small Chapel of ease in 1924, under the direction of Fr Frank O’Hare. It was blessed and opened on 17 August 1924 and dedicated to Our Lady, Queen of Peace. 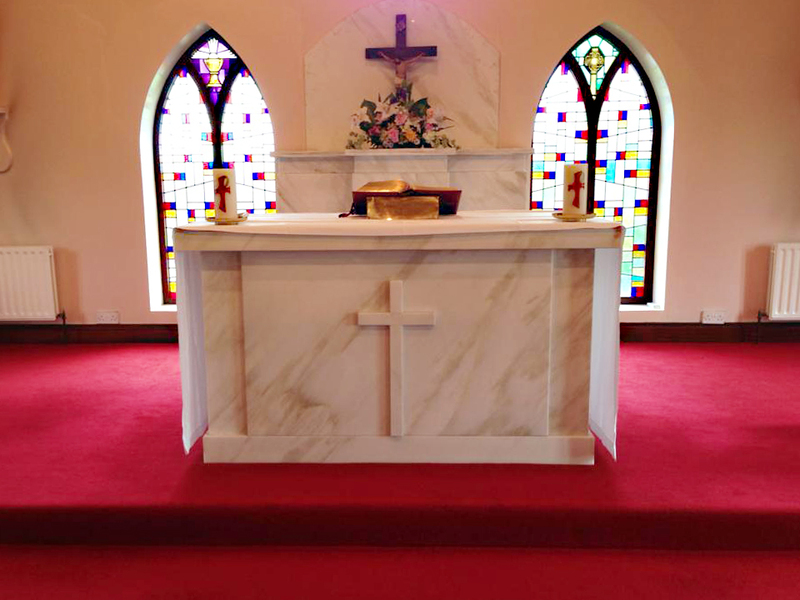 The Chapel of ease at Drumnavaddy was replaced by a new Church build in 1991/1992 and dedicated by Bishop Brooks on Sunday 15 March 1992. This new Church was, unfortunately, damaged in an arson attack in August 1993; the consequent repair cost over £30,000. It was vandalised and smoke damaged in a further attack on 9 January 1994. 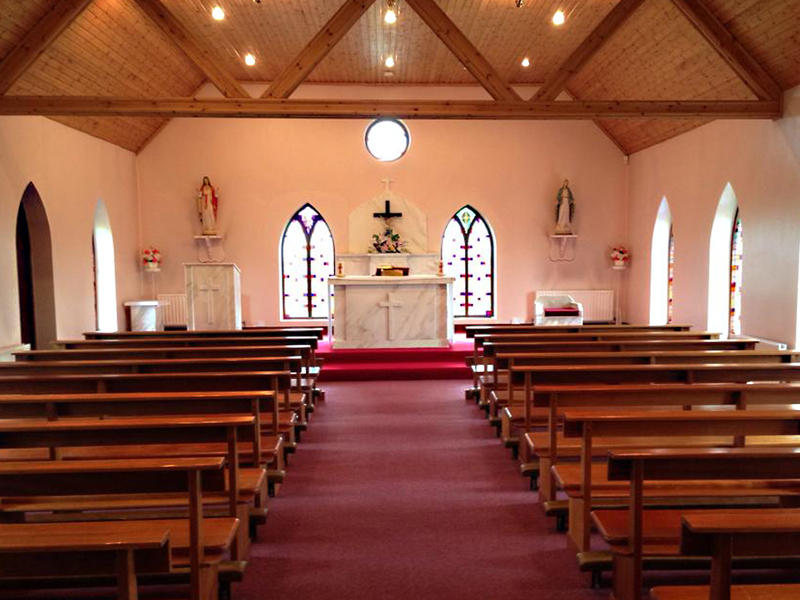 Mass in this Church is celebrated on Sundays at 9:30am when there are two priests available in the Parish.